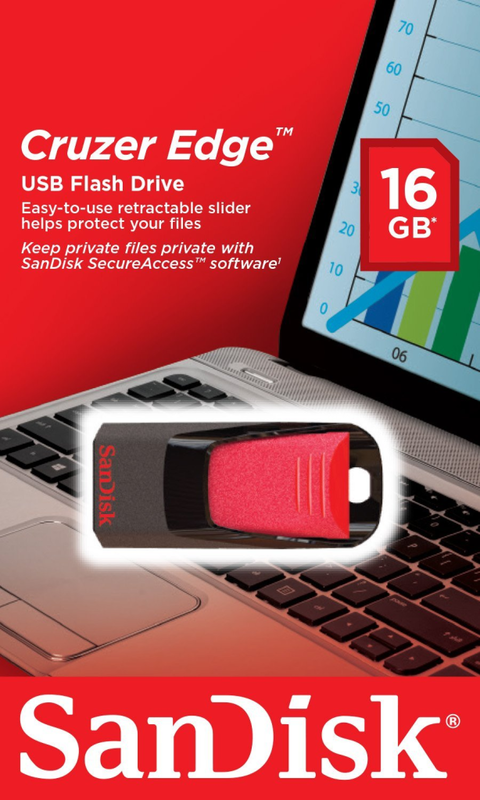 Store, protect and transfer your video, music, or photo files with the compact and stylish SanDisk® Cruzer® Edge™ USB flash drive. With its simple slider design, it's perfect for taking your favorite files with you. Keep your data safe from prying eyes in a with the included SanDisk® SecureAccess™ software and enjoy the added protection of secure online backup (up to 2 GB*) offered by YuuWaa™ † . Whether it's your favorite music or your work documents, the SanDisk® Cruzer® Edge™ USB flash drive gives you the storage you need in a compact and portable device. When your data matters, you can trust SanDisk®.